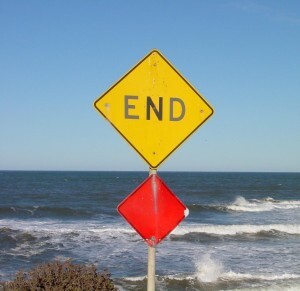 Writing on Wednesday: The End. My mother died one month ago today. No more tangles and plaques. Hospice Ministries of Mississippi called yesterday to ask if I wanted to receive a brochure about grieving, and to say they regret that I’m too far away to participate in their grief counseling sessions. I assured the woman who called that I did most of my grieving a few years ago when my mother no longer recognized me. And a healthy amount of crying in her hospital room. At this point I’m truly at peace that my mother is no longer suffering with Alzheimer’s and that she is in heaven with my father. The grieving process is different for everyone. And so when a publisher emailed me on Monday requesting my manuscript, Tangles and Plaques: A Mother and Daughter Face Alzheimer’s, I told him that I needed to revise the introduction and add a new final chapter, because Mother was no longer battling the tangles and plaques. I had queried this publisher a few months ago, when the final draft of the anthology had been written before Mother’s death. There are now three publishers reading the manuscript. Fingers crossed! So this is my writing “assignment” for today—to revise the manuscript. It seems appropriate, on this one-month anniversary of her death. Time to write a new ending. I’m sure your parents are both so proud of you!